Phenelzine (Nardil, Nardelzine) is a non-selective and irreversible monoamine oxidase inhibitor (MAOI) of the hydrazine class which is used as an antidepressant and anxiolytic. Along with tranylcypromine and isocarboxazid, phenelzine is one of the few non-selective MAOIs still in widespread clinical use. It is typically available in 15 mg tablets and doses usually range from 30–90 mg per day, with 15 mg every day or every other day suggested as a maintenance dose following a successful course of treatment. 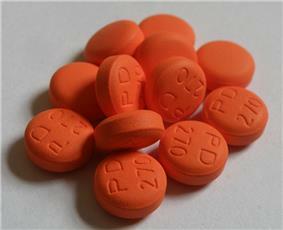 Phenelzine is used primarily in the treatment of major depressive disorder (MDD). Patients with depressive symptomology characterized as "atypical", "nonendogenous", and/or "neurotic" respond particularly well to phenelzine. The medication is also useful in patients who do not respond favorably to first and second-line treatments for depression, or are "treatment-resistant". In addition to being a recognized treatment for major depressive disorder, phenelzine is effective in treating dysthymia, bipolar depression (BD), panic disorder (PD), social anxiety disorder (SAD), bulimia, and post-traumatic stress disorder (PTSD). Phenelzine is a non-selective and irreversible inhibitor of the enzyme monoamine oxidase (MAO). It inhibits both of the respective isoforms of MAO, MAO-A and MAO-B, and does so almost equally, with slight preference for the former. By inhibiting MAO, phenelzine prevents the breakdown of the monoamine neurotransmitters serotonin, melatonin, norepinephrine, epinephrine, and dopamine, as well as the trace amine neuromodulators such as phenethylamine, tyramine, octopamine, and tryptamine. This leads to an increase in the extracellular concentrations of these neurochemicals and therefore an alteration in neurochemistry and neurotransmission. This action is thought to be the primary mediator in phenelzine's therapeutic benefits. Phenelzine and its metabolites also inhibit at least two other enzymes to a lesser extent, of which are alanine transaminase (ALA-T), and γ-Aminobutyric acid transaminase (GABA-T), the latter of which is not caused by phenelzine itself, but by a phenelzine metabolite phenylethylidenehydrazine (PEH). By inhibiting ALA-T and GABA-T, phenelzine causes an increase in the alanine and GABA levels in the brain and body. GABA is the major inhibitory neurotransmitter in the mammalian central nervous system, and is very important for the normal suppression of anxiety, stress, and depression. Phenelzine's action in increasing GABA concentrations may significantly contribute to its antidepressant, and especially, anxiolytic/antipanic properties, the latter of which have been considered superior to those of other antidepressants. As for ALA-T inhibition, though the consequences of disabling this enzyme are currently not well understood, there is some evidence to suggest that it is this action of the hydrazines (including phenelzine) which may be responsible for the occasional incidence of hepatitis and liver failure. Phenelzine has also been shown to metabolize to phenethylamine (PEA). PEA acts as a releasing agent of norepinephrine and dopamine, and produces effects very similar to those of amphetamine, though with markedly different pharmacokinetics such as a far shorter duration of action. Phenelzine's enhancement of PEA levels may contribute further to its overall antidepressant effects to some degree. In addition, phenethylamine is a substrate for MAO-B, and treatment with MAOIs that inhibit MAO-B such as phenelzine have been shown to consistently and significantly elevate its concentrations. Like many other antidepressants, phenelzine usually requires several weeks of treatment to achieve full therapeutic effects. The reason for this delay is not fully understood, but it is believed to be due to many factors, including achieving steady-state levels of MAO inhibition and the resulting adaptations in mean neurotransmitter levels, the possibility of necessary desensitization of autoreceptors which normally inhibit the release of neurotransmitters like serotonin and dopamine, and also the upregulation of enzymes such as serotonin N-acetyltransferase. Typically, a therapeutic response to MAOIs is associated with an inhibition of at least 80-85% of monoamine oxidase activity. Phenelzine is administered orally in the form of phenelzine sulfate and is rapidly absorbed from the gastrointestinal tract. Time to peak plasma concentration is 43 minutes and half-life is 11.6 hours. Unlike most other drugs, phenelzine irreversibly disables MAO, and as a result, it does not necessarily need to be present in the blood at all times for its effects to be sustained. Because of this, upon phenelzine treatment being ceased, its effects typically do not actually wear off until the body replenishes its enzyme stores, a process which can take as long as 2–3 weeks. Phenelzine is metabolized primarily in the liver and its metabolites are excreted in the urine. Oxidation is the primary routine of metabolism, and the major metabolites are phenylacetic acid and parahydroxyphenylacetic acid, recovered as about 73% of the excreted dose of phenelzine in the urine over the course of 96 hours after single doses. Acetylation to N2-acetylphenelzine is a minor pathway. Phenelzine may also interact with cytochrome P450 enzymes, inactivating these enzymes through formation of a heme adduct. Two other minor metabolites of phenelzine, as mentioned above, include phenylethylidenehydrazine and phenethylamine. Common side effects of phenelzine may include hypomania or mania, psychosis and acute liver failure, the last of which is usually only seen in people with pre-existing liver damage, old age, alcohol consumption, or viral infection. The MAOIs are infamous for their problematic food restrictions and drug interactions. Hypertensive crisis may result from the overconsumption of tyramine-containing foods. As a result, patients on phenelzine and other MAOIs must avoid excess quantities of certain foods that contain tyramine such as aged cheeses and cured meats, among others. Serotonin syndrome may result from an interaction with certain drugs which increase serotonin activity such as selective serotonin reuptake inhibitors, serotonin releasing agents, and serotonin agonists. Several deaths have been reported due to drug interaction-related serotonin syndrome such as the case of Libby Zion. As is the case with other MAOIs, there is a concern regarding phenelzine and the use of both local and general anesthetics. Anyone taking phenelzine should inform their psychiatrist before proceeding with dental surgery, and surgery in any other contexts. Phenelzine has also been linked to vitamin B6 deficiency. It (or possibly its metabolites such as phenylethylidenehydrazine) reacts with vitamin B6 via an unknown enzyme to form a biologically inert metabolite. Transaminases such as GABA transaminase have been shown to be dependent upon vitamin B6 and may be involved in this process, since the phenelzine metabolite phenylethylidenehydrazine (PEH) is a GABA transaminase inhibitor. Both phenelzine and vitamin B6 are rendered inactive upon these reactions occurring. For this reason, it may be recommended to supplement with vitamin B6 while taking phenelzine. The pyridoxine form of B6 is recommended for supplementation, since this form has been shown to reduce hydrazine toxicity from phenelzine and, in contrast, the pyridoxal form has been shown to increase the toxicity of hydrazines. ^ Fiedorowicz, J. G.; Swartz, K. L. (2004). "The Role of Monoamine Oxidase Inhibitors in Current Psychiatric Practice". Journal of Psychiatric Practice 10 (4): 239–248. ^ Vallejo, J.; Gasto, C.; Catalan, R.; Salamero, M. (1987). "Double-blind study of imipramine versus phenelzine in Melancholias and Dysthymic Disorders". The British journal of psychiatry : the journal of mental science 151 (5): 639–642. ^ Quitkin, F. M.; Mcgrath, P.; Liebowitz, M. R.; Stewart, J.; Howard, A. (1981). "Monoamine oxidase inhibitors in bipolar endogenous depressives". Journal of Clinical Psychopharmacology 1 (2): 70–74. ^ Buigues, J.; Vallejo, J. (1987). "Therapeutic response to phenelzine in patients with panic disorder and agoraphobia with panic attacks". The Journal of clinical psychiatry 48 (2): 55–59. ^ Blanco, C.; Schneier, F.; Schmidt, A.; Blanco-Jerez, C.; Marshall, R.; Sánchez-Lacay, A.; Liebowitz, M. (2003). "Pharmacological treatment of social anxiety disorder: a meta-analysis". Depression and anxiety 18 (1): 29–40. ^ Walsh, B. T.; Gladis, M.; Roose, S. P.; Stewart, J. W.; Stetner, F.; Glassman, A. H. (1988). "Phenelzine vs placebo in 50 patients with bulimia". Archives of General Psychiatry 45 (5): 471–475. ^ Frank, J. B.; Kosten, T. R.; Giller El, E. L.; Dan, E. (1988). "A randomized clinical trial of phenelzine and imipramine for posttraumatic stress disorder". The American Journal of Psychiatry 145 (10): 1289–1291. ^ Tanay, V. A.; Parent, M. B.; Wong, J. T.; Paslawski, T.; Martin, I. L.; Baker, G. B. (2001). "Effects of the antidepressant/antipanic drug phenelzine on alanine and alanine transaminase in rat brain". Cellular and molecular neurobiology 21 (4): 325–339. ^ Mckenna, K. F.; Mcmanus, D. J.; Baker, G. B.; Coutts, R. T. (1994). "Chronic administration of the antidepressant phenelzine and its N-acetyl analogue: effects on GABAergic function". Journal of neural transmission. Supplementum 41: 115–122. ^ Dyck LE, Durden DA, Boulton AA (June 1985). "Formation of beta-phenylethylamine from the antidepressant, beta-phenylethylhydrazine". ^ Raft, D.; Davidson, J.; Wasik, J.; Mattox, A. (1981). "Relationship between response to phenelzine and MAO inhibition in a clinical trial of phenelzine, amitriptyline and placebo". Neuropsychobiology 7 (3): 122–126. ^ Gómez-Gil, E.; Salmerón, J. M.; Mas, A. (1996). "Phenelzine-induced fulminant hepatic failure". Annals of internal medicine 124 (7): 692–693. ^ Malcolm, D. E.; Yu, P. H.; Bowen, R. C.; O'Donovan, C.; Hawkes, J.; Hussein, M. (1994). "Phenelzine reduces plasma vitamin B6". Journal of psychiatry & neuroscience : JPN 19 (5): 332–334. ^ Duffy, S.; Nguyen, P. V.; Baker, G. B. (2004). "Phenylethylidenehydrazine, a novel GABA-transaminase inhibitor, reduces epileptiform activity in rat hippocampal slices". Neuroscience 126 (2): 423–432. ^ Dubnick, B.; Leeson, G. A.; Scott, C. C. (1960). "Effect of forms of vitamin B6 on acute toxicity of hydrazines". Toxicology and applied pharmacology 2 (4): 403–409.